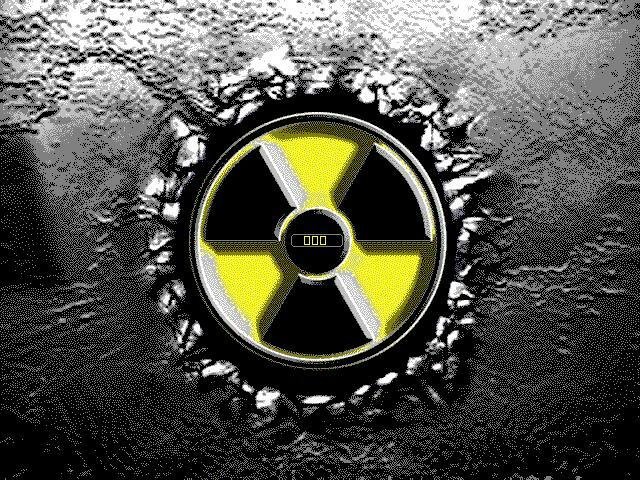 I like it, may I suggest another bootskin just like it, move the progress bar up in the middle of the radioactive logo (right in the circle), make the progress bar very small so it doesn't go outside the circle, it would look like it's getting ready to blow up or something. I like the surround texture, looks like burn't metal or black tar/asphault, nice colors, what software do you use to create your graphics with? That explains why this one looks very white when used and why, just checked some of you others, they all seem to have the same color palette. Here is a tutorial for making bootskins with Photoshop, it shows how to save image as 16 color 4 bit bitmap so it will use colors from that image. The way you are doing it you are making the image take the color palette of the image you are pasting too. For this one I would say that atleast half of the colors in palette do not exist in the original full color image used. Cavan, you are a photoshop expert, dude you need to write up a new bootskin tutorial - you definitely have the skills for it! Hey unclerob, I only know a little about Photoshop, used the 30 day trial about 6 months ago. My graphics program is Paint Shop Pro X, and that I don't use to decrease color depth, I use IrfanView for that. The tutorial by Cyberworld that is linked above is one of the best Photoshop bootskin tuts out there.